Slow press LO7067 Home Made Juice from Concept = specialist in currant! Tired of spending all my time in the kitchen? 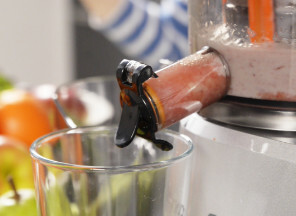 You want to have a healthy fresh juice every day on his desk? So just for you there's a new press for fruit and vegetables from Concept. With its 75 mm large filler hole you will save a lot of time. You don't have to bother unnecessary by slicing fruit – LO 7067 can handle the whole fruit! Press for fruit and vegetables LO7067 boasts a specialist designation on the currant - 1.5 kg of this vitamins charged raw material processed in just 2 minutes. Nothing will stop him. Thanks to 2-phase the process of juicing fruits and vegetables first nadrcena and then pressed. 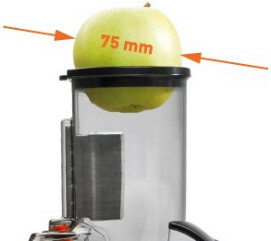 The result is the maximum of the fresh juice and minimum waste. 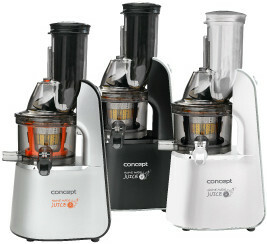 Empower your health unit, which has about 40% greater yield than regular juicers. Frozen bananas, blueberries, strawberries, raspberries ... within a few seconds you can enjoy them in the form of a cold dessert. Or is it like PEAR smoothie with chia seeds for breakfast? In LO 7067 actually hiding three grateful helpers. You just have to decide in what form your body consume the dose of vitamins, and according to choose the proper sieve. Convenient Anti-Drip allows you to Exchange containers for juice, without you they have stained the kitchen unit or the juice had to stop. 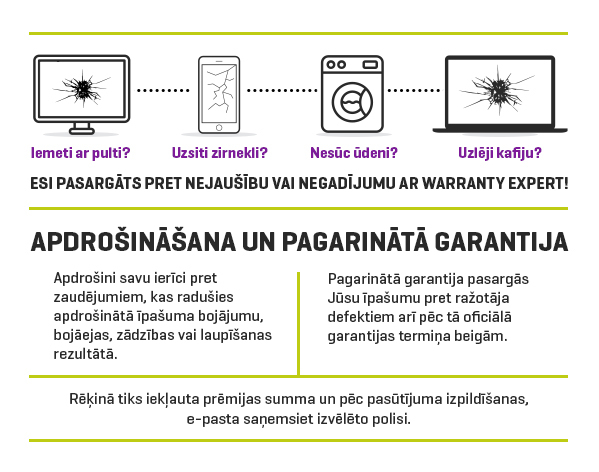 Easily remove CAP, replacing the glass and swinging again. How simple! 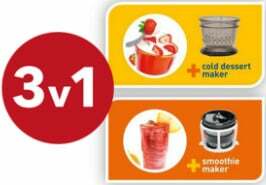 Passed You the taste of the juice at home due to the lengthy cleaning your appliance? Thanks to the simple rozebiratelnosti and customized brush You will have fun and fast cleaning after stamping. To ensure maximum comfort when the appliance is equipped with non-slip juicing feet which ensure perfect stability at work. New brand Concept to fit perfectly into your kitchen! Don't waste your time by storing Your partner into the Cabinet. Thanks to the luxurious appearance, robust and high-quality processing becomes the pride of your kitchen. In a dark corner he won't. Newly you can enjoy outside the elegant stainless steel on the trends of white and black. 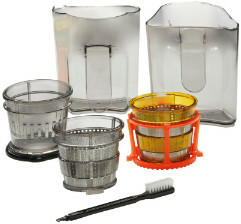 Prepare your favorite fruit juice without preservatives, whenever You want! 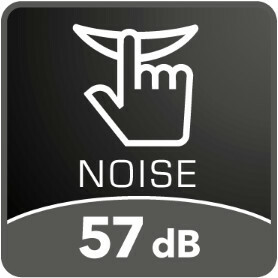 Will surprise you very quiet operation of the device. Off the regular juicers, it will happen to you, that drive her husband to the pub for football, or you wake up your branch. Simply juice at any time and enjoy serving health in every SIP! 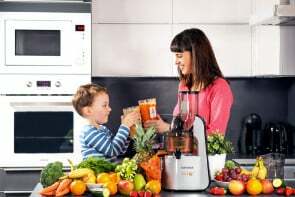 You want to enjoy with the whole family an excellent healthy juice without the "kid stuff"? As a gift you will get original stickers, which each family member can mark your drink bottle.